Free Toasts - so you have the privilege and honor of presenting a toast! It may be wedding toasts, retirement toasts, birthday toasts or funny toasts that have your heart rate elevated and your mind spinning. Relax. As with most things in life - prepare well, follow the guidelines and practice, practice, practice. Then stand back and wait for the applause! The great thing about toasts is that, all they really need, are an outline and... a KISS - so keep it short and simple! Make reference of your relationship to the person you will be honoring with your toast. Tell a suitable and relevant story that you recall or may have shared with the toastee. Remember to consider your audience - the story must be appropriate. Have empathy for toastee's feelings - no one likes to be embarrassed - especially in front of a big group. If your are aiming at a funny toast, be mindful of the difference between laughing at someone or laughing with someone. Learn your toast - pretty much off-by-heart. Your cue cards are there to help you if necessary, but you shouldn't rely on them. Check that the microphone is working and that you know how to adjust it to suit your height. Ensure that the podium is visible to the entire audience and that you have easy access to it. Make sure that everyone has champagne or wine and a glass to fill. Oh - remember the KISS! Scan the audience to confirm that the honored guest is currently in the room and that they haven't popped out for a few minutes. Search for your guest's face as you start speaking and when you end. Say your toast with the glass on the table until it is needed. We all tend to talk with our hands [no credit for spilling your champagne with over-exuberant gesturing]. Raise your glass to your face height, invite the other guests to charge their glasses and to stand, re-establish eye contact with the toastee as you say the words "to...........". The audience will mirror this action and phrasing. 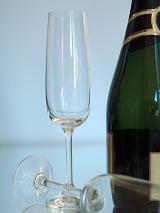 Sip - don't down - your glass of bubbly. That's it - you did a great job! Words of wisdom on how to present remarkable free toasts - definitely a presentation that you will be asked to perform - a best man toast perhaps?